Traditionally, Demea is considered to be the weakest character in Hume’s famous Dialogues concerning Natural Religion; the stage is completely dominated by Cleanthes’ optimistic theism and by Philo’s skeptical critical manoeuvres against that. Contrary to this traditional approach, however, the ‘orthodox’ Demea will be defended here by maintaining that Demea contributes—though neither consciously intended nor recognized by Hume—the most interesting observations concerning religious belief. He points to a position lying beyond the metaphysical fantasies of theism (in league with its successors, the “friends of Cleanthes”) on the one hand and Philo’s destructiveness, which seems to amount to a moralized minimal version of faith on the other. It will be clear that this defense is not exegetically orientated, but rather reacts to a constellation personalized in Hume’s ‘casting’ that lets us see on which topics we shall continue to work theologically as well as philosophically today. 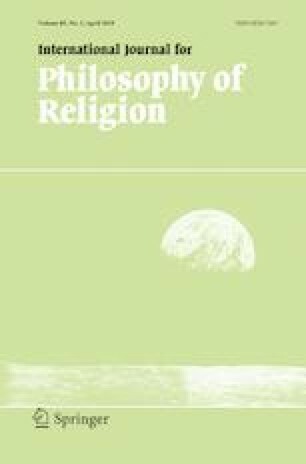 Accordingly, a conceptual critique of Cleanthes and Philo will be elaborated, using three concrete examples to show what religious belief lying beyond metaphysical hopes that explain God as a (quasi)person, as well as reductionist concessions that regard ‘God’ merely as an expression of a moral attitude, could look like. Thus Demea represents a ‘postmetaphysical’ image of religious belief—and, eventually, we are invited to belong to the “friends of Demea”.